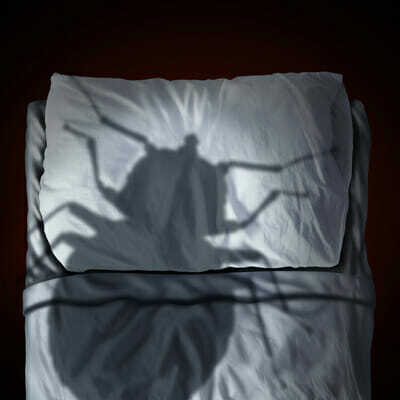 Bed bugs are tiny, oval, wingless, crawling insect that usually lives on the warm blooded animals and preferably humans. They belong to the insect family named Cimicidae.They are the troublesome, extremely tough pests which can live without food and pose a serious health risks to its host. They are known as Bed bugs because of their preference to live in human homes. These pests are hard to find and can live anywhere in the house. They can be found in crack furniture, any kind of textile, carpets but their favorite place is bed, bed mattress and bed frames. For millions of years, these bugs remained nest parasites, but with the passage of time they adapt themselves in human environment. The temperature of 70-80 degree is ideal for their growth and nourishment, allowing them to transform into adults and can produce three generations in a year. They mostly feed themselves in midnight or 5 am. After feeding they go back to their hiding place. They can live up to 70 days without feeding. These bugs are mostly active at night and they may bite the skinof sleeping hosts. They detect their host by the body heat and expelling carbon dioxide as result of breathing. Commonly they bite on face, arm, neck and hands. Bedbug’s bite is usually painless and went unnoticed. The rashness, small bumps on skin, itching, swelling and redness of skin are common symptoms of a Las Vegas Bed bugs.The itching may become intense that the host scratch enough, which rupture skin layer and causes infections. If single host is infested by these pests for several weeks than the host may become sensitive to their saliva and develop an allergic response. Some individuals may become ill. But they are not responsible to cause any serious disease, they mostly affect individual’s quality of life by causing discomfort, distress and broken sleep. They could be found all over the world, in recent years USA witness an increased prevalence of these bugs. There are many factors behind theirgrowing number of Bed bugs in USA, like the increment of the immigrants to the country from the developing states and the restrictions on using pesticides is largely a reason which led to bedbug infestations.Bed bugs becoming a growing problem within all kinds of dwellings, including homes, army barracks, cruise ships, residential quarters and shelters. The main issue of concern is that Bed bugs multiplies rapidly in number and their number could reach up to 13,000 or more in just a span of six months. Bed bugs are becoming common in developed cities like Las Vegas too. Las Vegas Bedbugs may spread from one room to another and an attempt to remove them by yourself may make the situation worse. They are not easy to control and therefore pest control professionals are the best solution. Home remedies to counter these pests are mostly proven to be ineffective and a professional pest control company like ‘Ranger Pest control’ are mostly recommended to identify the presence of Bed bugs in house and to remove them.